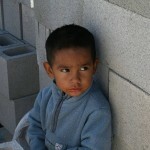 Families Helping Families (FHF Mexico, Inc.) builds houses in Mexico for families in need. 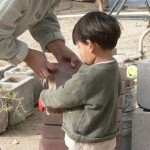 Using donations of time, money and material from both sides of the boarder, FHF constructs good solid homes of block and wood that will endure for generations. Many of the recipient families donate their time to build the houses and, when they are able, donate monetarily back to the foundation to provide funding for future houses. Their participation invests them in their houses and can result in them receiving title to their home. Our efforts benefit not only those who receive the houses, but also changes the lives of many who volunteer and donate their precious resources of time and money to build the houses. 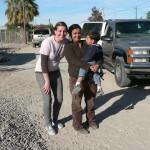 Volunteers from north of the boarder pay all their own expenses and travel to Mexico and build houses . They also contribute monetarily to purchase supplies and hire local laborers (to perform skilled tasks) to finish the houses. FHF Mexico, Inc. is a 501 (c)(3) non profit and has no paid administrators. Its sister non profit association in Mexico is “Casas Perpetuales. It is legally registered in Mexico and enables property ownership as well as many other non profit benefits for the entities.